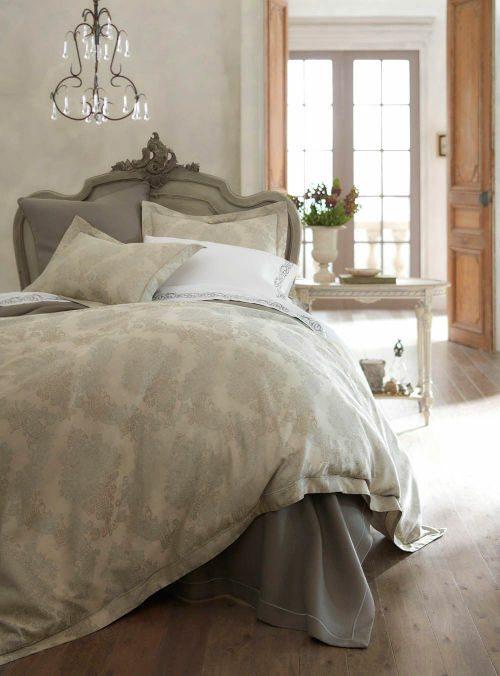 The Peacock Alley Pompei duvet and shams collection features a beautiful pattern and soft hues reminiscent of flocked wallpaper. 100% Egyptian cotton jacquard. 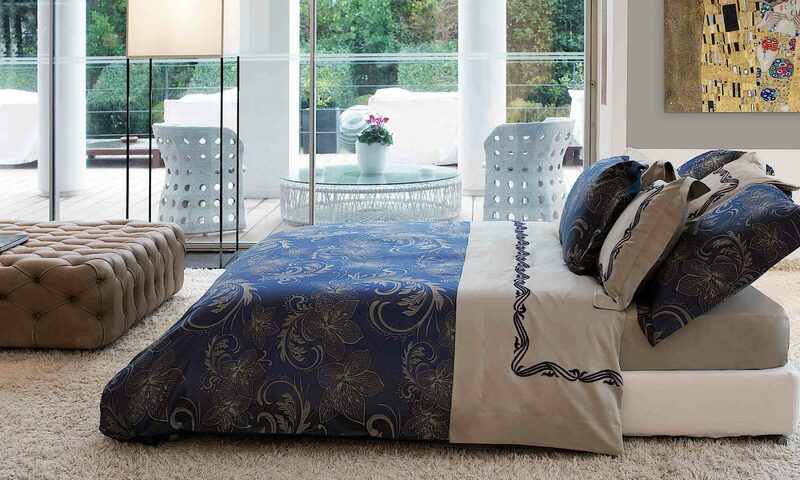 Coordinates with Rio coverlet and shams and Dolce embroidered cases. 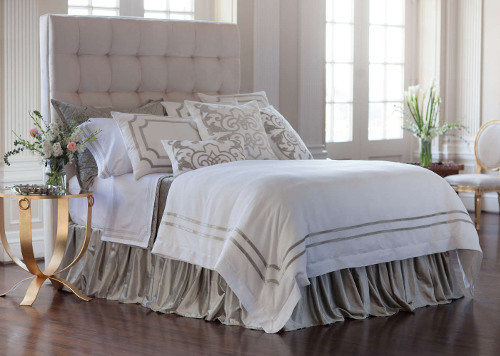 The Perla collection from Home Treasures is a 500 thread count, 100% Egyptian cotton, Italian percale, finished with a tone-on-tone, hand-guided hemstitch (a decorative row stitches with small openings). Why percale? 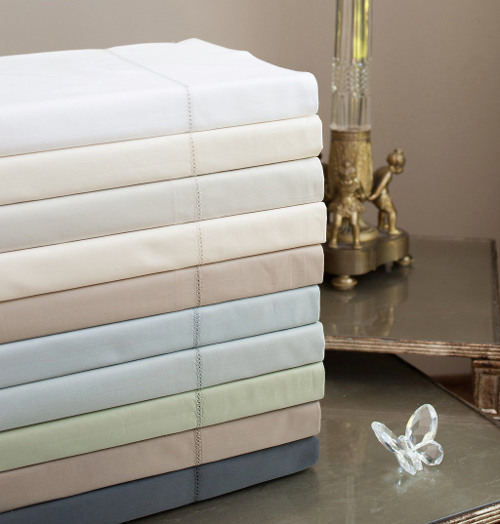 Used by many luxury hotels, percale is lighter in weight and more breathable than sateen sheets and has no gloss. We love the feel of these cool, crisp sheets! Johanna Howard alpaca throws and decorative pillows in gorgeous colors and designs will enhance any home. Alpaca is lightweight, water repellent, warmer than wool, and hypoallergenic, making it the perfect fiber for many beautiful home accessories. Positively inviting! Ever since Rachel Ashwell opened her first Shabby Chic store, people have gone crazy for the shabby chick look. 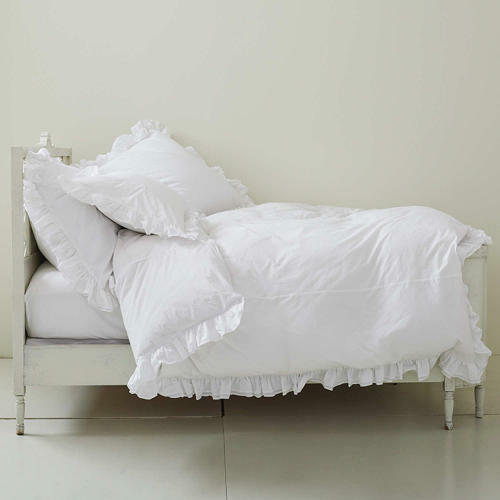 The Rachel Ashwell Liliput ruffled duvet cover and shams in a soft white cotton poplin represents the designer’s signature look of casual elegance. Also available in a plain edge. So sweet! The Lili Alessandra Soho bedding features a white linen duvet and decorative pillows embellished with ice silver velvet details. Designing with specific fabrics and colors in mind, the collection brings together a soft color palette of soothing colors for a sophisticated look. The Lili Alessandra upholstered headboard adds a touch of old Hollywood glamour, don’t you think? 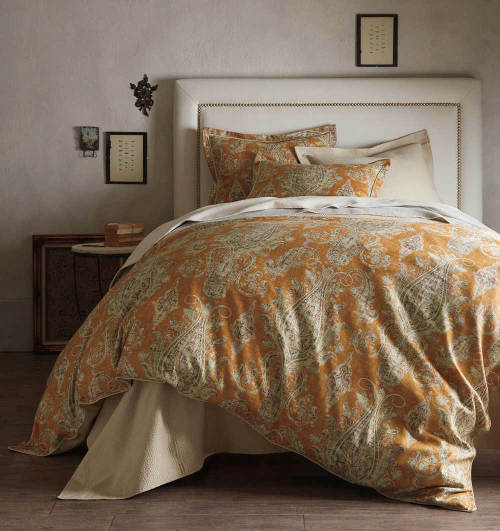 It’s no surprise that the new Provence duvet and sham collection from Peacock Alley has become so popular. The over-scaled paisley design in a fashionable amber color was inspired by antique tapestries. Add a matelasse cover and luscious sheets to complete the look. You’ll wake up feeling like you’re staying at a beautiful Italian resort. 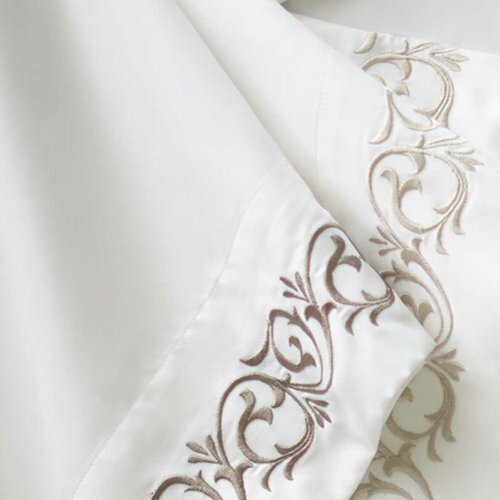 Dolce is Peacock Alley’s 420 thread count Soprano white sheeting with an embroidered traditional scroll. 100% Egyptian cotton sateen. Choose from twenty (20) thread colors and it’s embroidered right here in the USA. Simply stunning! 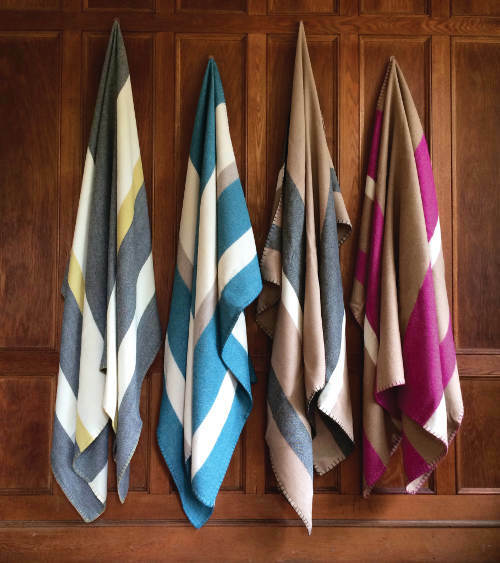 Wrap yourself in these luxurious bath towels from Peacock Alley. 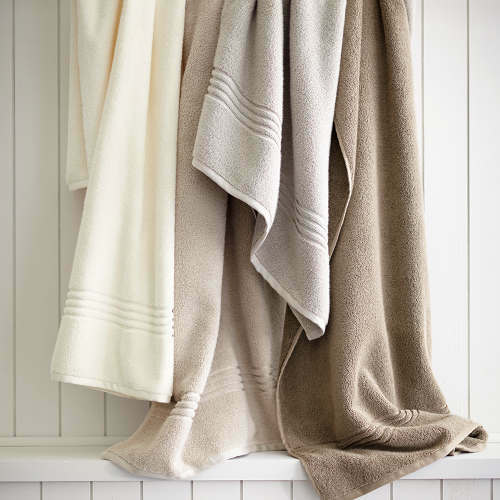 The Chelsea towels are fluffy, thick and super soft and available in 6 fabulous neutral colors. They’re light as a feather and fast to dry thanks to zero twist technology. Just be aware that once you use this towel, you may not want to get dressed. Mari Ann silk bedding is made with the finest 19 momme mulberry silk, which is made under controlled conditions. The result is a fiber that is considered the strongest in the world and thus a more durable weave. Mari Ann only utilizes the top 3% of mulberry silk to fill their lightest and most breathable all season comforters. Besides being extremely soft and comfortable, sleeping on silk pillowcases has some other benefits. Did you know that sleeping on smooth silk instead of cotton causes less friction to the hair so you’ll have less broken hairs or that funny bed-head look when you wake up? And, silk actually helps retain skin moisture which means less wrinkles and fine lines. No wonder its been around for over 5,000 years! 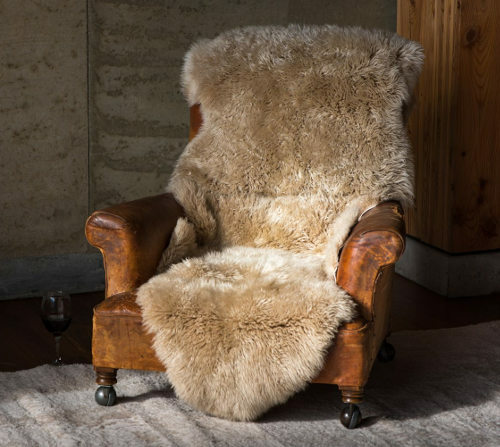 Casually draped over a chair, ottoman, or chest, the Auskin longwool double pelt rug creates a striking accent of fluffy texture and color. Whether used for coziness or layering, these rugs are so versatile you’ll find many creative ways to use them just about anywhere, even on the floor.